After decades of minimal updates, the venerable Honda CRF230F is replaced as Honda’s flagship trailbike with the all-new 2019 Honda CRF250F. This isn’t just a warmed-over 230F—the CRF250F has a new motor, EFI, a new frame, and longer suspension travel. Following are the fast facts about Honda’s new CRF250F. 1. EFI comes to the Honda trailbike line. Forget the days of clogged jets, choking on cold mornings, and fussing with a petcock. The 2019 Honda CRF250F has a Keihin fuel injection system that makes off-road motorcycling even more turnkey. Warmup should be a breeze when it’s chilly, and a fuel light will come on when it’s time to add some 87-octane to the 1.6-gallon gas tank. 2. The CRF250F gets 22cc more power than the 230F. In addition to the increased power and fuel economy that should come with EFI, the CRF250F also gets another 22cc to move things along. 3. Rather than having an undersquare motor as the CRF230F sports, the CRF250F has a short-stroke design. 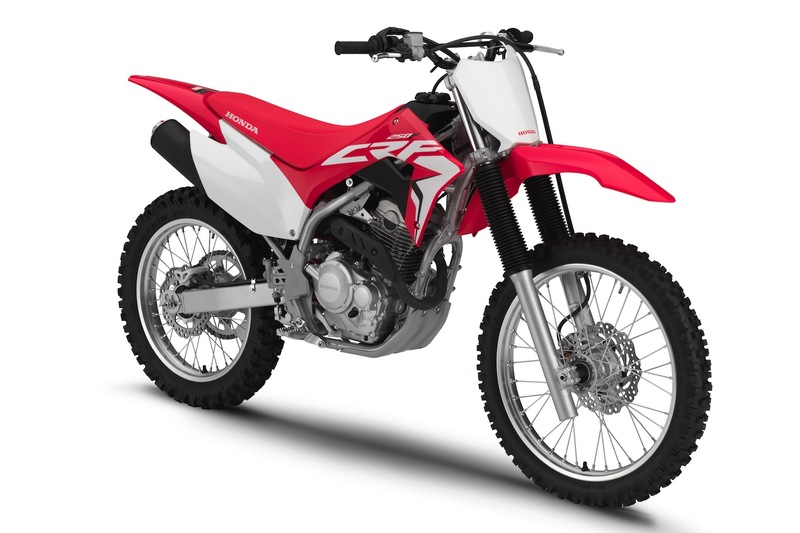 The CRF250F has a 71mm bore and 63mm stroke, for a significantly oversquare design. That should mean more revs and more power. 4. The CRF250F gets a four-valve head and more compression. This is in contrast to the ancient two-valver on the CRF230F. Again, more power is almost assured, and an additional boost is likely to come from bumping the compression up to 9.6:1 from 9.0:1. 5. There is one less cog on the 2019 Honda CRF250F. The CRF230F has a six-speed transmission, while the CRF250F goes with a five-speed gearbox. This is an interesting reversal, given that the CRF450X went from a five-speed to a six-speed this year. 6. Honda reworked the geometry for the 2019 CRF250F when going to a new frame. Compared to the CRF230F, the 2019 Honda CRF250F has a wheelbase nearly two inches longer, with the rake tucked in almost a degree. We will have to ride the CRF250F to see how that plays out. 7. The fork on the 2019 Honda CRF250F is beefier, but with shorter travel. The 41mm fork is undoubtedly going to be more robust than the 37mm unit found on the CRF230F, though travel is down an inch to 8.5 inches on the CRF250F. 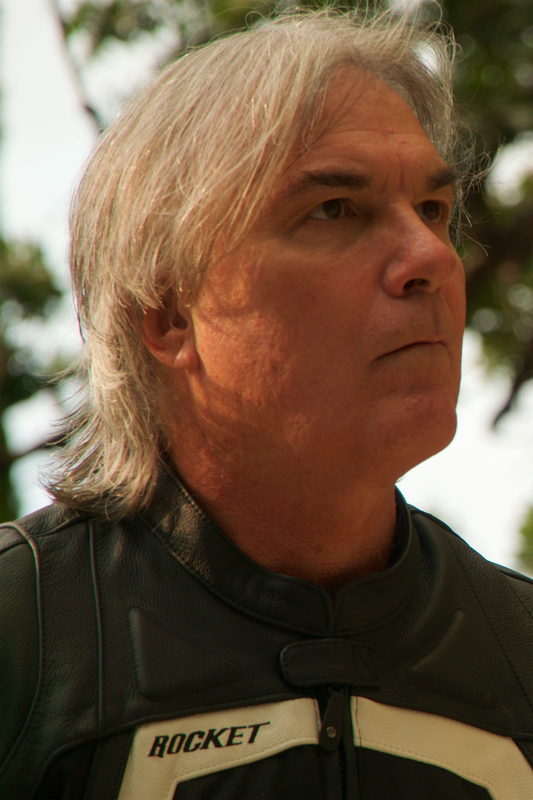 The linkage-assisted shock travel is the same on both motorcycles. 8. The tires are still from Pirelli, but a new line. We haven’t seen Pirelli Scorpion SC tires before, but we expect them to be an upgrade to the 230’s rubber. We will find out when we ride it, though the Scorpions SCs likely not as good as the Scorpion XCs. 9. The 2019 Honda CRF250F is larger than its 230F brother. At 34.8 inches, the 2019 Honda CRF250F seat height is less than a quarter-inch higher than the CRF230F. The ground clearance is nearly a half-inch less, so rocks and logs could be a bit more of a problem on the CRF250F. The 250F’s weight is up 16 pounds over the 230F, tipping the scales at 265 pounds. With the EFI system, larger forks, and a bigger engine, this isn’t a huge surprise. 10. It’s disc brakes all around on the CRF250F. The 2019 Honda CRF250F has a wave-style 220mm rear disc to match the 240mm disc up front, while the CRF230F sticks with a drum in the rear. 11. With all these upgrades, the 2019 Honda CRF250F will only run $250 more than the CRF230F. Unless we’re missing something, the 2019 Honda CRF250F will take a big bite out of the CRF230F sales this year. It is quite a bit more off-road motorcycle for not a lot more money.